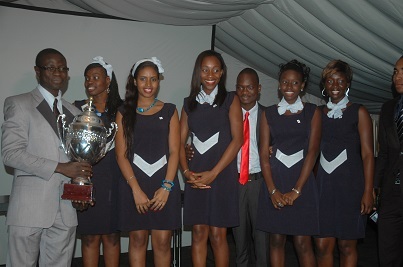 Dakar, Senegal – Multinational Higher School of Telecommunications was named the Enactus Senegal National Champion during the one-day competition held at the Radisson Blu Dakar. Last year the 30-member team contributed nearly 3,000 hours to three community outreach projects. This will be the first time Multinational Higher School of Telecommunications will represent Senegal at the Enactus World Cup. Special to this year’s event was keynote speaker Cheihn Tidjane Mbaye, Former Director of Sonatel and Mary Teuw Niane, the Senegal Minister of Higher Education. Enactus Senegal greatly appreciates the leading companies who helped sponsor the national competition: U.S. Embassy Dakar, KPMG, UPS, Sonatel Foundation, Axa and Banque Atlantique. Also, thanks to National Television for covering the event.